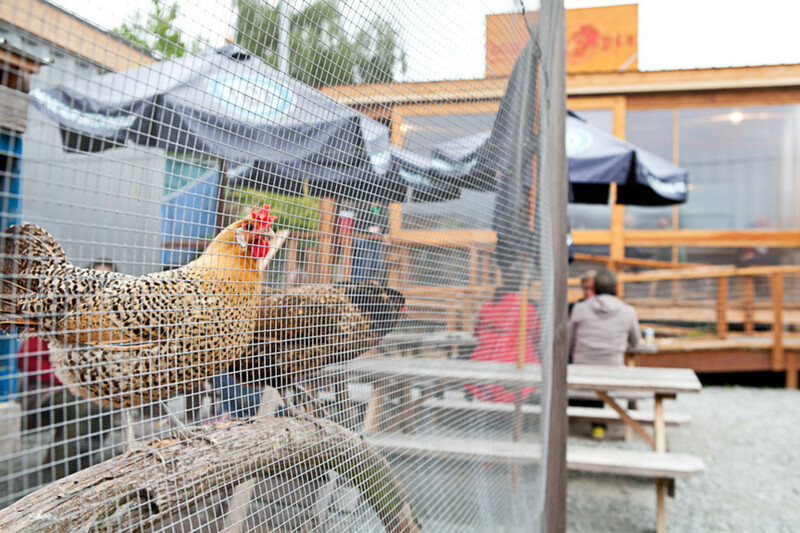 Where you can drink your microbrew to the dulcet tones of a clucking chicken. Humble Pie doesn’t so much have a patio as it is a patio. 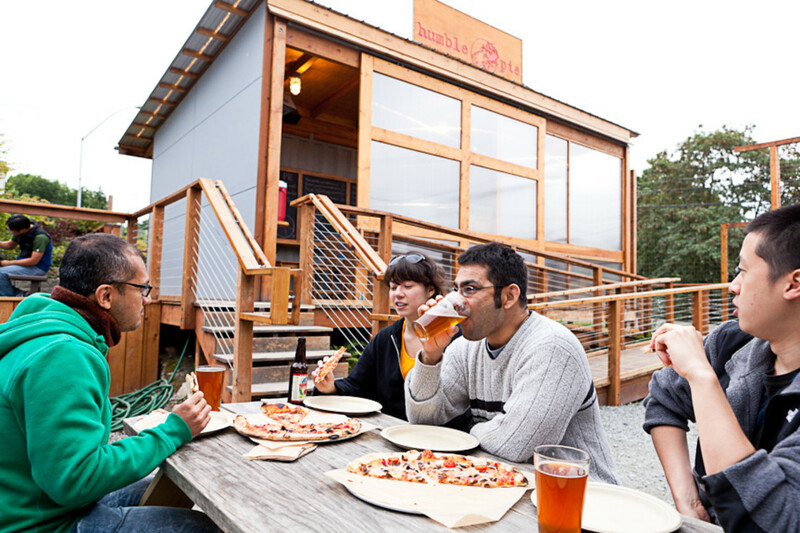 There’s precious little room in the tiny restaurant space, so its Central and International District–extracted patrons content themselves to spill out the door and feast on their pies and microbrews on a scattering of picnic tables. The wood-fired pizzas, in combos like apple-spiced walnut with Beecher's Flagship and soppressata-mushroom, are legit. So are the humble prices. On the booze side, local brews are available in pints, pitchers, and growlers alongside a small selection of ciders and wines. Not that you'd need any of the above to enjoy the conviviality of this drop-in neighborhood spot, but they certainly couldn't hurt. For the lowdown on the menu and the chicken coop (and a close-up of one of the pies in question), check out Kathryn Robinson's review from our August issue.